Harvard-Smithsonian Center for Astrophysics (CfA). Peer Instruction For Astronomy (a teacher's guide for introductory undergraduate astronomy). See some popular science articles too. The Chandra X-ray Observatory where I work in the Director's Office. And a video where I philosophize about the Universe, Chandra and my job! HOBBIES especially playing bass with The Wicked Pickers . 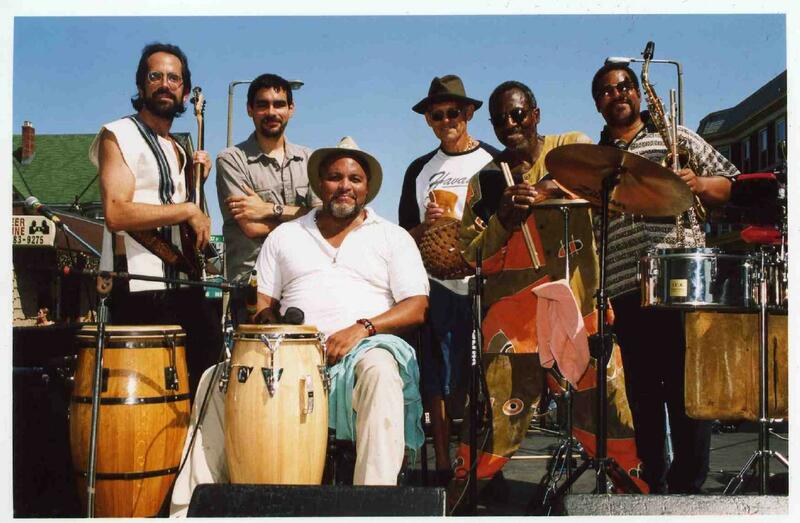 Before that, J.P. Tropicale with Cornell Coley, before that, the Little Big Band Feed the Meter . 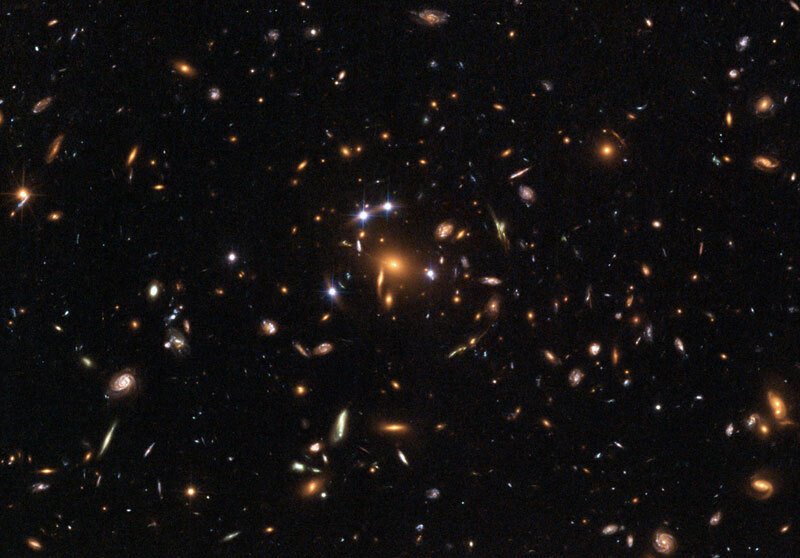 The image backgound is from Hubble, showing a distant cluster of (mostly red) galaxies acting as a gravitational lens, producing the optical illusion of 4 (blue) images of the same background quasar.